Another Fleetwood Mac Album That's 'Worth A Damn' This year saw a much-ballyhooed reissue of Fleetwood Mac's Rumours. Virtually ignored was a reissue of the 1969 album Then Play On, Peter Green's last LP with the band. The recording signaled a spiritual quest already in progress. The 1969 album Then Play On, Peter Green's last with Fleetwood Mac, signaled a spiritual quest already in progress. Fleetwood Mac was also on top of the British charts. Its members were pop stars, and they'd only been together a little more than two years. But when it came time to make their third studio album, Green was fed up with stardom. He'd grown up poor in a tough neighborhood in London's East End, and the piles of money the band was making started to make him uncomfortable. Green was determined to escape the music-industry treadmill, and he wanted his band to follow him. 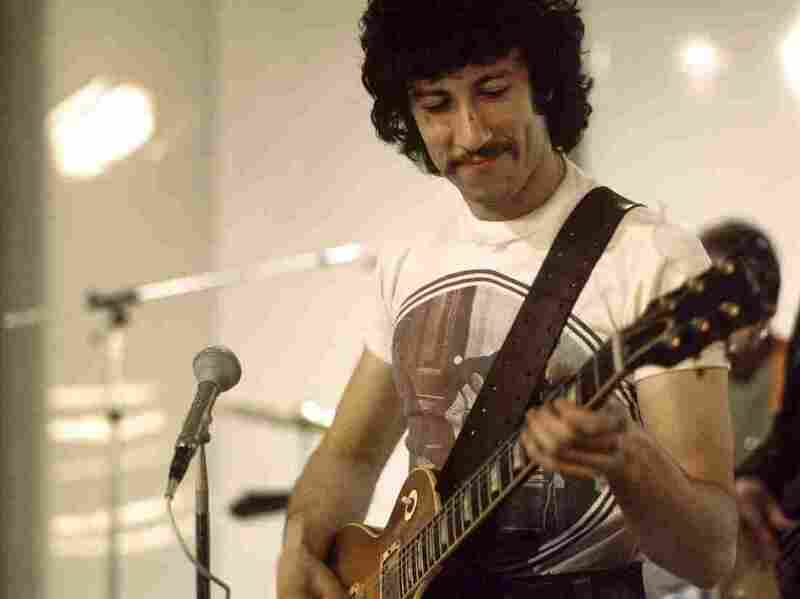 "Peter Green was all about making an album that was going to be different and pushing the other members to say, 'Hey, wake up! We gotta do something special here,' " drummer Mick Fleetwood says. "And we as a band — especially myself and John as a rhythm section — were all about following our friend and our musical mentor into the fire, which became the Then Play On album." Guitarist and singer Jeremy Spencer co-founded Fleetwood Mac with Green but says he had no idea how he could contribute to this new direction the band was taking. "He would want me to play rhythm licks like Hubert Sumlin. [Demonstrates.] That sort of thing," Spencer says. "He very much liked that. But at that time, I wasn't really — I didn't feel proficient enough to do that, and so I would sort of back off. And so that pretty much opened the door for Danny Kirwan to move in." Spencer chose not to play on the sessions, though he is pictured with the band inside the album cover and remained a member. Kirwan composed half of the songs on Then Play On, including the album opener, "Coming Your Way." During the sessions, Green became increasingly withdrawn, composing material on his own and sometimes playing many of the parts himself. He was searching for something — both in the free-form improvisations that punctuate the album and in his personal life. "He found himself in a band where the rest of them were a bunch of lads who were having a great time, you know, playing music live and making records," biographer Martin Celmins says. "And I think that Peter kind of went on a spiritual journey, the beginnings of which are very evident in Then Play On." The 23-year-old Jewish kid from London's East End went from an interest in Buddhism to Christianity. It was a journey influenced to some degree by Green's experimentation with LSD. But Celmins says Green was not an acid casualty. "The influence of drugs didn't help, but I think it's been exaggerated," Celmins says. "I think there were far more musical lifestyle reasons why he no longer wanted to be a member of a world-beating rock 'n' roll band." Drummer Fleetwood says Green's bandmates couldn't keep up with their leader's vision. "Part of his frustration was thinking he couldn't move forward with the existing band," Fleetwood says. Green left Fleetwood Mac just months after Then Play On was released. He made several albums trying to integrate his spiritual search with music that would express it, until he abandoned music under the weight of what was eventually diagnosed as schizophrenia, as he said in a 2009 BBC documentary. "We saw a doctor," Green says. "He said, 'Do you hear voices?' I said, 'Yeah, I do. I am having a lot of kind of strange experiences inside of my head.' But I didn't think I was schizophrenic. To them, it's schizophrenic, but to you it's hellishly single-minded." Green underwent electroshock therapy and took powerful medications that left him unable to play. He was institutionalized. Mick Fleetwood says the members of Fleetwood Mac had no idea going into the sessions for Then Play On that Green was suffering so much. It makes the album's accomplishment all the more remarkable. 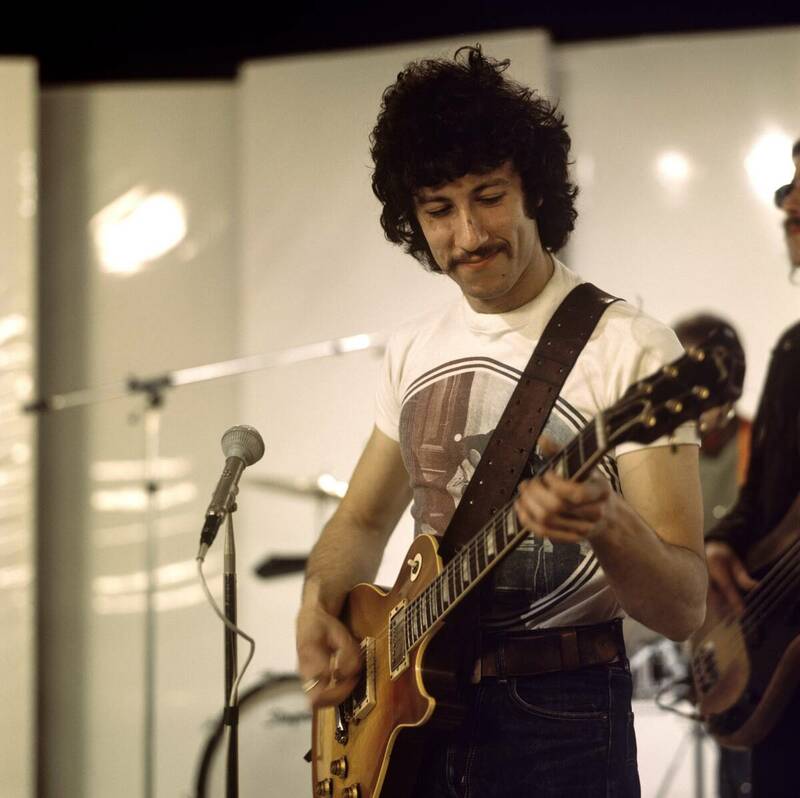 The instigator of Then Play On, Peter Green, eventually returned to music. He continues to perform and record today.